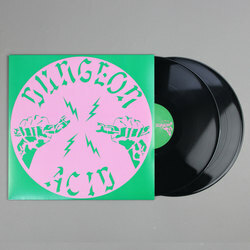 Dungeon Acid - Dungeon Acid. Vinyl LP. Bleep. 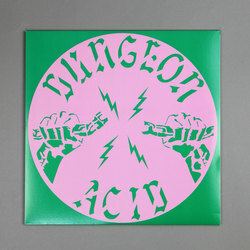 iDEAL Recordings proves to be the iDEAL home (sorry) for Dungeon Acid’s first ‘proper’ LP. The Swedish rave provocateur’s music has long been a good fit for a label that has also fronted releases by artists like EVOL and Mika Vainio. 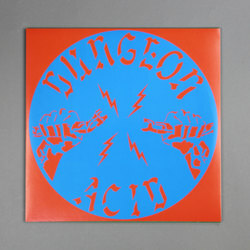 Dungeon Acid’s eponymous record collects tracks made by the one born Jean-Louis Huhta over the course of the 2010’s. A wacky punk energy drives the peak time acid of tracks like ‘7YO2’ and ‘9G02’, while cuts such as ‘3PO3’ are hard techno numbers similar to Deapmash. ‘4RO1’, a Krautish exercise in polyrhythm, has a touch of Harmonious Thelonious to it. A psychedelic strain runs through Dungeon Acid as well - fitting for an artist who has released through labels like Höga Nord.